Dr. James “Red” Duke Jr. died Tuesday at 86 years old. 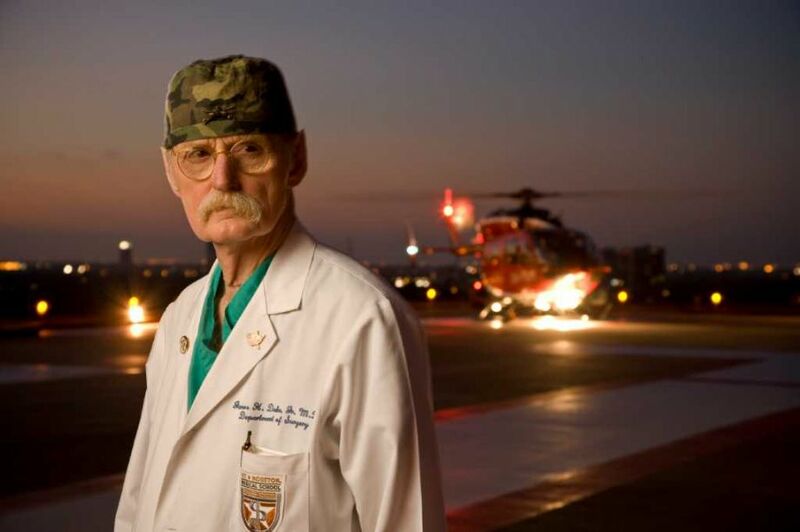 He was the Houston’s iconic cowboy-style doctor who found the Life Flight Helicopter Ambulance System. Duke was a trauma surgeon known internationally because he attended to Gov. John Connally on the day of President John F. Kennedy‘s assassination, succumbed to natural causes at Memorial Hermann Hospital in the Texas Medical Center. He had been in declining health the past year. His passing was announced Tuesday evening in a statement from his family issued by Geo. H. Lewis & Sons funeral directors. “To countless colleagues, friends and patients, he was a skilled physician, innovative healthcare provider, exceptional communicator and dedicated conservationist,” the statement said. “We, however, mourn him as a caring father, grandfather and devoted brother who will be deeply missed by his family.